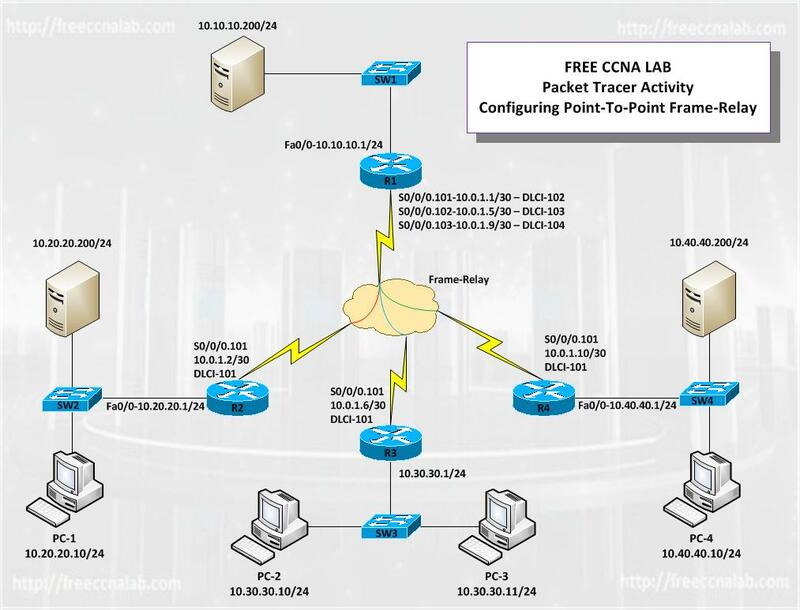 In this Free CCNA LAB Four routers must be interconnected in a hub-and-spoke Frame Relay configuration. Router R1 is the hub, and routers R2, R3, and R4 are spoke routers. The Frame Relay connections will be established using Frame Relay point-to-point connections over subinterfaces from R1 to each spoke router. Routing will be established using static routes on the hub router and default routes on all spoke routers. The frame relay switch has already been configured in this Packet Tracer activity. View the default internetwork configuration. Configure Static and Default routing.